One of Java's most striking claims is that it provides a secure programming environment. Yet despite endless discussion, few people understand precisely what Java's claims mean and how it backs up those claims. If you're a developer, network administrator or anyone else who must understand or work with Java's security mechanisms, Java Security is the in-depth exploration you need. Java Security, 2nd Edition, focuses on the basic platform features of Java that provide security--the class loader, the bytecode verifier, and the security manager--and recent additions to Java that enhance this security model: digital signatures, security providers, and the access controller. 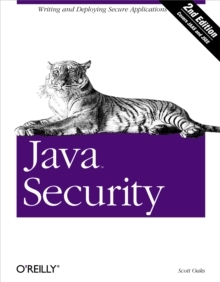 The book covers the security model of Java 2, Version 1.3, which is significantly different from that of Java 1.1. It has extensive coverage of the two new important security APIs: JAAS (Java Authentication and Authorization Service) and JSSE (Java Secure Sockets Extension). Java Security, 2nd Edition, will give you a clear understanding of the architecture of Java's security model and how to use that model in both programming and administration. 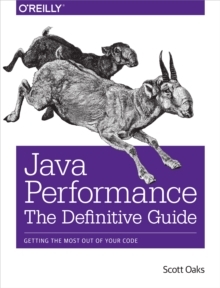 The book is intended primarily for programmers who want to write secure Java applications. However, it is also an excellent resource for system and network administrators who are interested in Java security, particularly those who are interested in assessing the risk of using Java and need to understand how the security model works in order to assess whether or not Java meets their security needs.